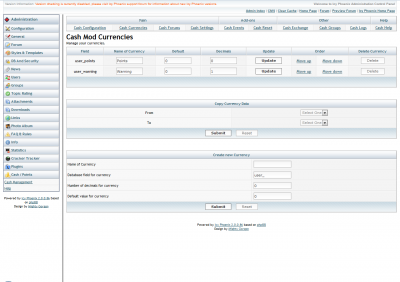 i am getting a error when trying to set up currencies on cash mod. i am using the latest icyphoenix software BTW. Can you confirm you are trying to use the cash plugin? what exactly you are trying to do ? 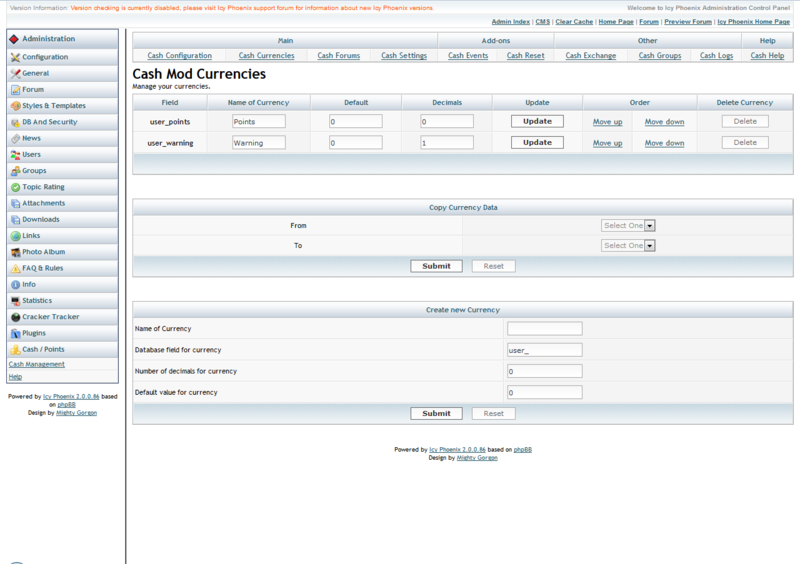 When I go to the currency config it shows the name post database after I put in what is needed it goes to the error page. Idk how or why I get that error. so , does it work now? yup thanks i wasn't sure about the data part but now when i seen what u typed about user_ i was able to get it to work. now how can i get the allowance to work .it seems like there is a plug in for it or something. also is there a shop for icy? Unfortunately there is no Shop mod for Icy Phoenix yet.